A flurry of falling leaves swirls around a subtle white canvas. 14 cm tall, element. 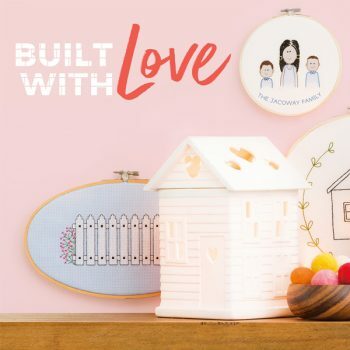 Each of our Scentsy Warmers are supplied with a lifetime guarantee when purchased from an Independent Scentsy Consultant like myself. 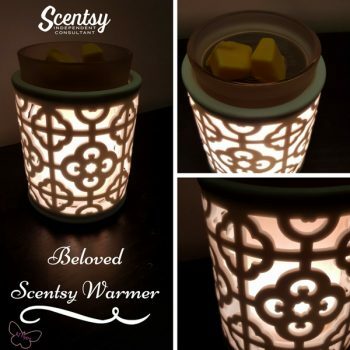 Scentsy Warmers are warranted to be free from defects in material and workmanship for the lifetime of the product. 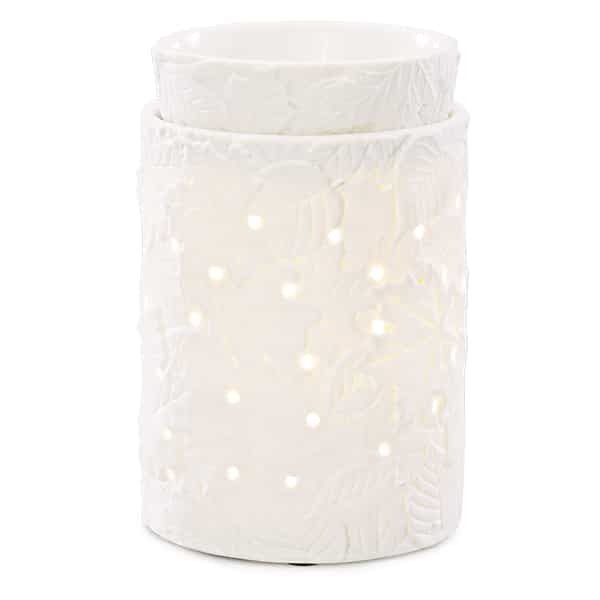 Any Warmer found to be defective or damaged under normal use and care will be replaced with the same, or comparable, product at Scentsy’s discretion. 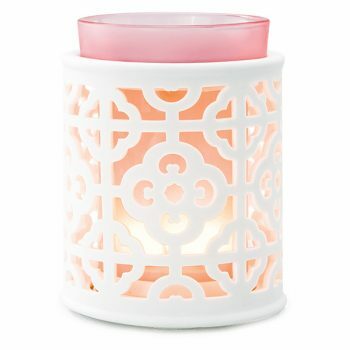 Scentsy warmers use an electric heating plate or a bulb to melt specially formulated scented wax melts. Once melted, the wax reaches just above body temperature. Our warmers available in a range of styles, with different lighting effects, or no glow at all. In the warmers which operate with a heating plate, the lighting is omitted by LED’s inside. For the lampshade warmers which use an Edison lightbulb, the guarantee does not cover the bulb, but you can purchase a replacement bulb on this website. 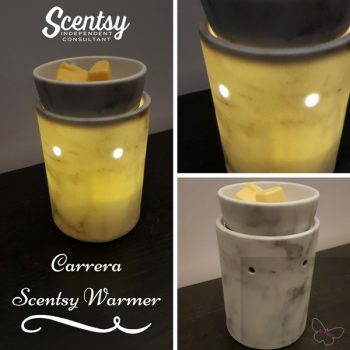 How Does A Scentsy Warmer Work? 1. 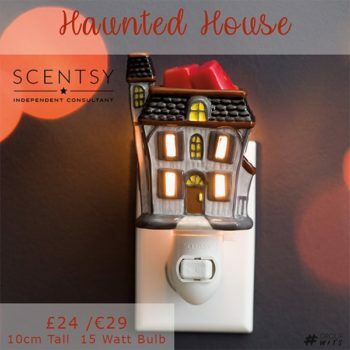 Simply plug your Scentsy warmer into the mains (each warmer is supplied with a UK or European plug as required). 2. Place the dish on the heating plate (or over the top of the bulb as applicable). Break off one to two cubes of your wax and place in the dish. 3. 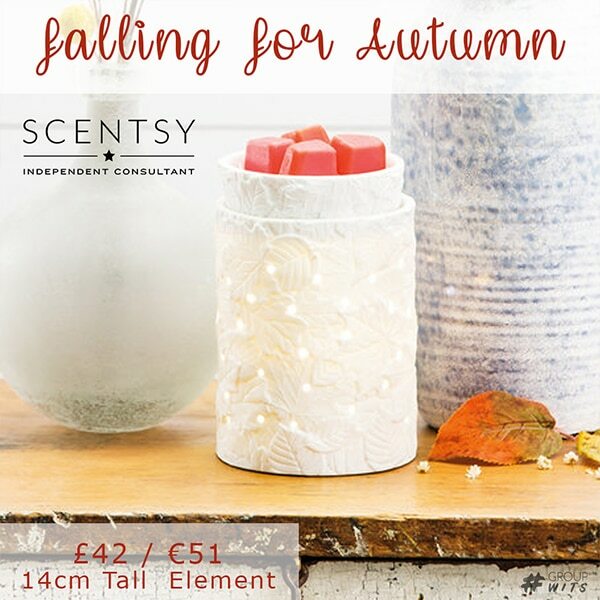 Turn it on at the back of the warmer and enjoy the fragrance as it fills your room. 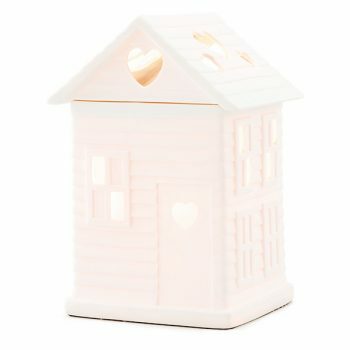 Is Scentsy safe to use around my children? Yes! Scentsy warmers have no wick, no flame and produce no soot. Our high quality food grade paraffin wax scented bars are slowly melted using a warming plate while producing some of the most vibrant fragrances available! Because our warmers do not get hot and Scentsy bars are non-toxic they are safe to use around children and pets. 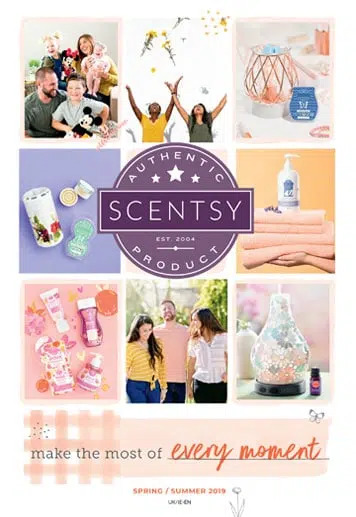 Based on one Scentsy Bar per month 80-100 Hours of fragrance and Medium Candle Jar per month burn time of 65-90 Hours – Prices correct as of May 2018. Home is a lot more than a few walls and a roof. It’s a meal at the dinner table. It’s family game night. It’s “one more bedtime story” and morning light through the windows. It’s where memories are made. 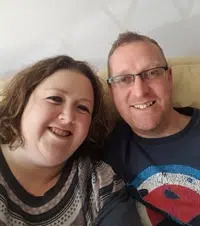 Help us make home possible for more families. Melt our wax with the heat of an element and fill your space with fragrance — no flame, smoke or soot. 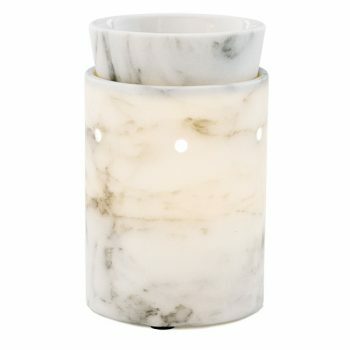 New Marble Like Silhouette Scentsy Warmer that fits Scentsy Wraps. 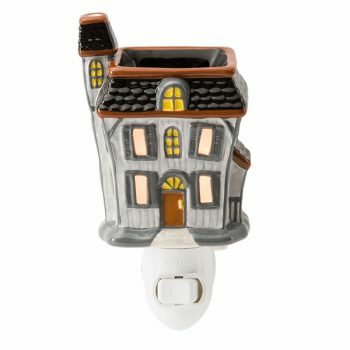 A grim centrepiece of your Halloween décor, Haunted House towers ominously over an eerie tombstone garden.